The tread depth seems really deep. Put 150 miles on them today. everything from crooked back roads, wooden toll bridge and heavy breaking. They seem to be pretty neutral handling. The first few corners took me by surprise. The last 4 sets of Dunlops (made by Sumitomo Rubber co.) required quite a bit of steering input that had to be maintained through the corner. The Shinkos fall in quickly and hold a line without much input. Within the first 40 miles I was grinding the hero blobs (not hard to do on a long wheel base Triumph ) heading out 9 from Berkley Springs. At one point Kim pulled out to pass a group of cruisers that were traveling 10 below. She was about halfway through the pass when a truck pulls out going the same direction then decides to turn left. She fell in behind and got on the brakes I was still making the pass. Needless to say the Shinkos were very stable at near full braking load with the rear dancing around as it skimmed the asphalt. So far a big . We will see what happens when the rain falls and miles pile on. Last edited by Space; July 25, 2009 at 03:07 PM.. I am understanding the question. Whats size is on my bike? 120 -180 What sizes are they made in? I took a chance on Shinko this year for the not only my commute, but also track days. Could not be more IMPRESSED. They have 3 track days on them now, and have jefferson planned for this sunday...alot of tread life still to go. I don't know much about rubber compounds and so-on, but i do know what "feels" good between me and the pavement. 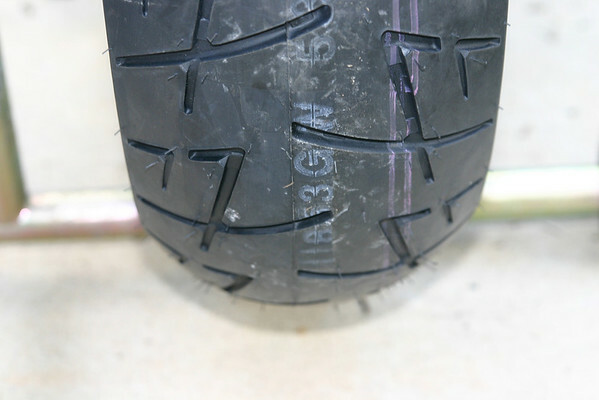 i'm tryin these next.. got Metzlet Sportec 3's.. not happy with the wear..
10 months and nearly 8500 miles later I need to replace the rear tire. The front looks like it will come close to lasting through another rear. Bang for the buck, performance and wear; i could not be happier. Past tire choices have lasted only 4500 to 6000 mile for $100 to $200 more per set. 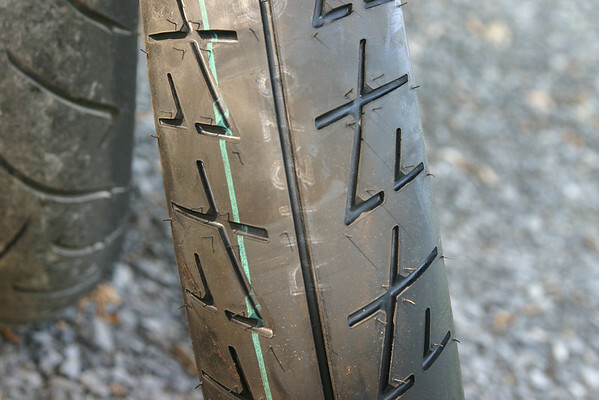 For those on a budget these tires are a good choice for the average street rider. For the last test of the Ravens I ran them up 33 and after 8500 miles they still handle well. how would you compare these to pilot road 2's? PR2's are the benchmark in the ST segment. I have ridden 2 bikes with them and they seem like excellent tires. Everyone I know that has them loves them. My father gets about 8000-9000 miles out them on his k1200GT and my mom's F800ST. However, the PR's are nearly twice the price. If I had the money I would not have taken the "chance" on the Shinkos. I don't regret my choice and I ordered another rear. Shinkos are AWESOME...i ran a few sets of Shinko Advances and i absolutely love them..i have a set of Ravens on my GSXR 600 and i can say only great things about them especially for the money...when i worked at my brothers shop in Winchester our provider told us we were the #1 seller of Shinko Tires in Va..we only carried Shinkos and we sold the crap out of them Shinko gave us a free Tire Rack and Everything lol...GREAT GREAT GREAT TIRES!